Republican leaders in the House, citing poor weather, delayed voting this week on a border security bill, which has attracted harsh criticism from the right-wing of the party. The new House schedule has no votes for Monday afternoon. Tuesday and Wednesday will be spent discussing legislation on combating human trafficking and the regulation of liquid natural gas. A debate on the border security bill was originally slated for Wednesday. It’s not clear when the bill will be put for a vote. The bill would adopt many of the provisions originally written in the Gang of Eight immigration reform bill that has languished in the House since 2013, such as requiring the Department of Homeland Security (DHS) to submit a border control plan and adding billions in funding. These measures have faced vocal opposition from some conservative who see the bill as an attempt to fool concerned voters into a false sense of security. “The most troubling aspect is this Trojan horse thing. If you pass a bill called ‘border security,’ then the other side is going to say, ‘Hey, look, we already did it, we passed border security, so now it’s time for step two, which is amnesty— let everyone in, legalize them, because we now have a secure border,'” Rep. Dave Brat (R-Va.) said in a radio interview last week, according to the Media Research Center. 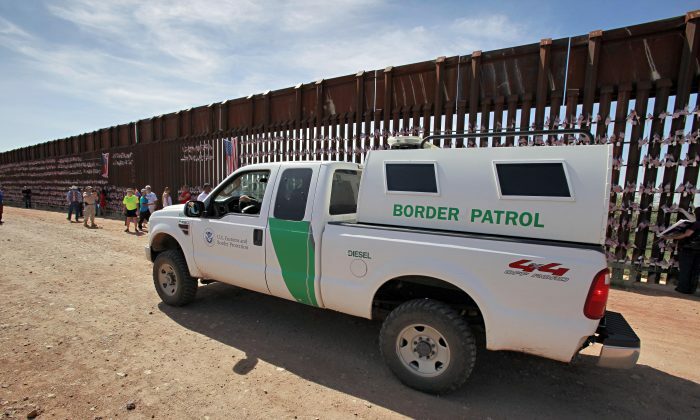 Brat said that because the underlying problems concerning border security laid with the executive, not the legislative branch of government, higher levels of funding could undermine border security. Kenneth Palinkas, president of a union that represents over 12,000 employees of the U.S. Citizenship and Immigration Services, has excoriated the bill for failing to reform immigration policy. The delay of the the border security bill is just one of the slew of conflicts the new Congress has fought over immigration. Current funding for the DHS will run out in February, and a controversial bill the House passed that would fund the DHS but defund the president’s November immigration order is expected to face heated opposition in the Senate.